Scientific studies have shown that air pollution impacts on human health. For healthy people, moderate air pollution levels are unlikely to have any serious short term effects. However, exposure to elevated pollutant concentrations and/or long term exposure to air pollution can lead to more serious symptoms and conditions affecting human health. These conditions mainly affect the respiratory and inflammatory systems, but can also lead to more serious conditions such as heart disease and cancer. If you are exercising outside avoid busy roads. Be aware of days when air pollution is high by registering for the Know & Respond service or using our free app for iPhone or Android smartphones. Those with existing heart or lung conditions are more susceptible to increased health risks associated with air pollution. The Committee of Medical effects of Air Pollution (COMEAP) advises that air pollution can increase the severity of symptoms for those with heart disease or respiratory conditions such as asthma. Adverse health conditions can be experienced during short term high pollution episodes or as a result of long term exposure to poor air quality. 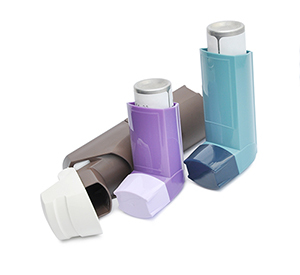 Avoid exposure - increased air pollution can trigger asthma symptoms, remaining indoors during periods of high air pollution can reduce symptoms. For further information about asthma visit Asthma UK.